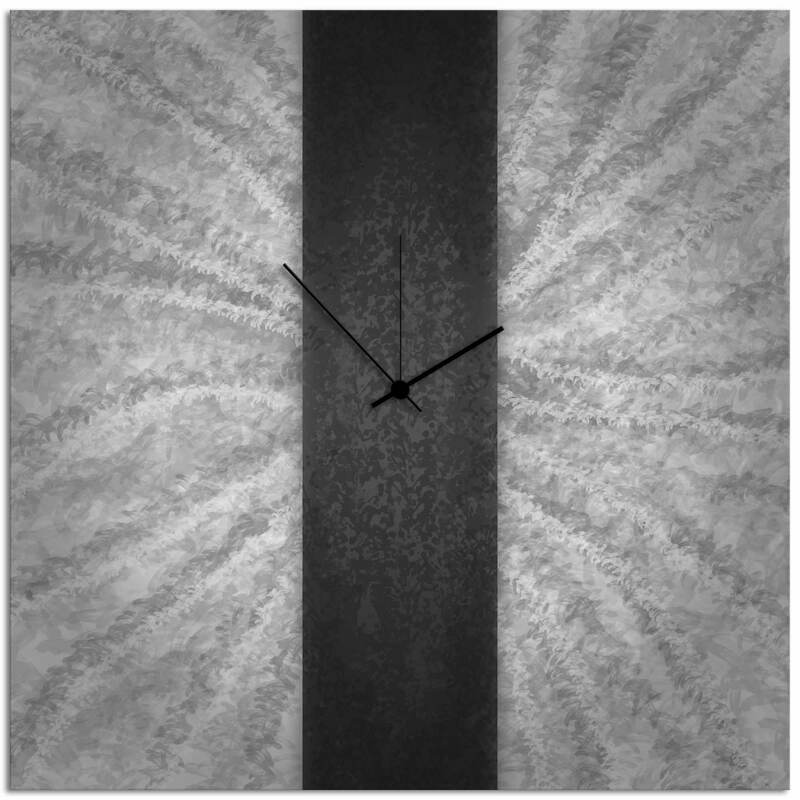 Black Stripe Clock is a trendy wall art clock, created at Metal Art Studio. This design is made from a single sheet of metal expertly grinded and tinted and made in to a functional clock. 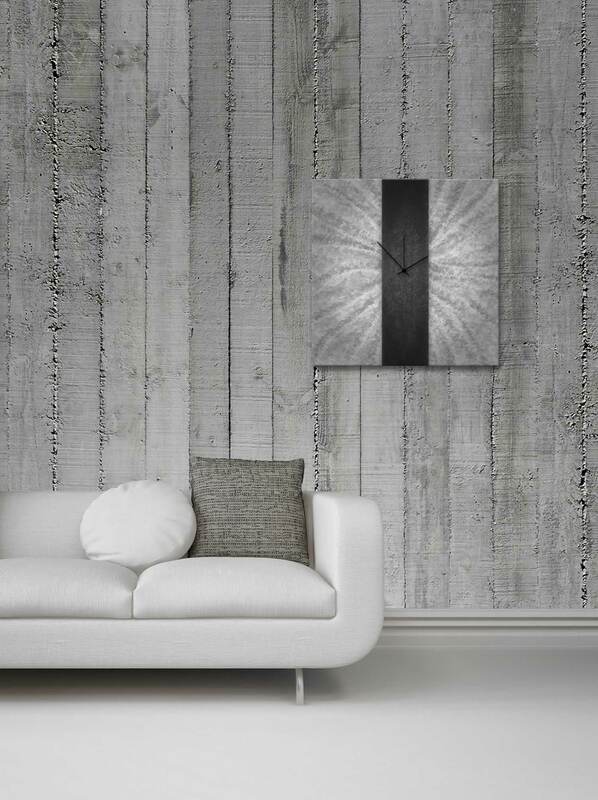 A single black line in the middle of the metallic sheet characterizes this minimalist metal clock. The flat black surface in the middle creates a level of eccentricity to the piece. A quirky yet mysterious appeal comes from this particular piece, like the darkness of the night. To further beautify the piece, random grind patterns were put in the sheet of metal, creating an illusion of movement through the play on light and shadows with each stroke and grind pattern on this piece enhancing the beauty of the plain sheet of metal. This is a magnificent piece of post-modern art that also functions as a reliable time keeper would certainly fit in any modern space.